First of a long series of outfits featuring a crop top! The crop top is a top, shirt or blouse with the lower part cut off, showing off a little bit of belly! The name come from "crop" which means cut! I like them so much and I'm wearing them very often! The one I'm wearing is really simple, white, bought during my vacation in Valencia a few weeks ago! 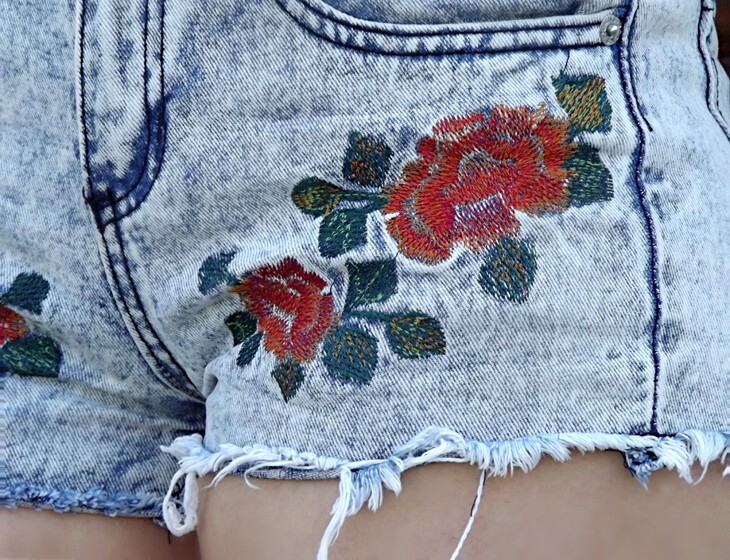 I combined it with a pair of Chicnova high-waisted shorts with embroidered roses on the front and on the back pockets! I find them fabulous, especially for the washed jeans color! Primo di una lunga serie di outfit con protagonista un crop top! I crop top sono dei top un po' più corti che lasciano scoperta un filo di pancia! Il nome deriva dall'inglese crop che significa appunto tagliare! Mi stanno piacendo tantissimo e li sto sfruttando molto! Questo che indosso è davvero semplice, bianco, comprato durante la mia vacanza a Valencia qualche settimana fa! L'ho abbinato ad un paio di shorts a vita alta con rose ricamate sia davanti che sulle tasche posteriori di Chicnova! Li trovo a dir poco favolosi soprattutto per il color jeans slavato! White Nailpolish | OPI "Snow Alpine"
awww , I really love the shorts ! so beautiful! Che bella! Mi piace tutto, soprattutto gli shorts! :) Un bacio! Che bello questo look! E che fisichino ragazza!! molto carini i pantaloncini (; Reb, xoxo. è bellissimo questo outfit, adoro il shorts! Love those shorts and that lipstick shade! So pretty. Love these pretty pair of shorts, they look great on you! Bellissimi i pantaloncini!! molto vintage...adoro questo look semplice ma che si fa subito notare!! Ciao Francesca, sono meravigliosi questi shorts, magari provo a replicarli col fai-da-te...bellissimo anche il colore del rossetto, ti valorizza molto gli occhi! 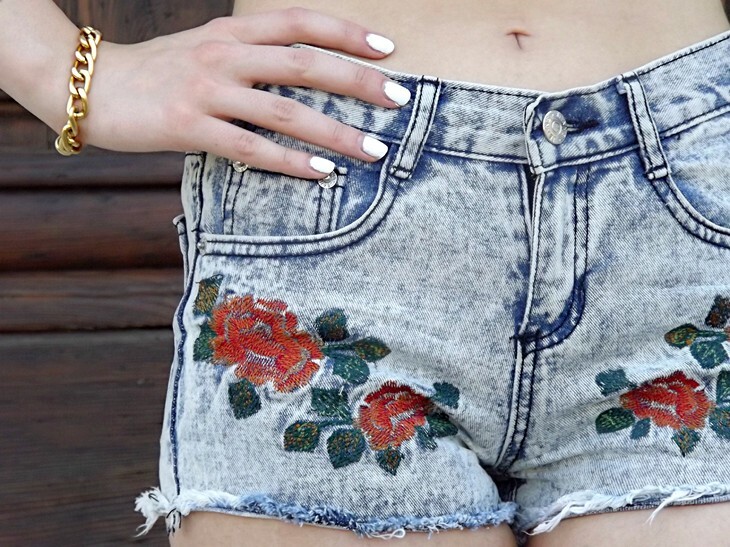 Che belli questi shorts, sono stupendi e ti stanno divinamente!! BACI E BUONA GIORNATA BELLEZZA M.
Che belli questi shorts...sono davvero carinissimi!!!! I love love the shorts, great pics! love the shorts and the lipstick color ! 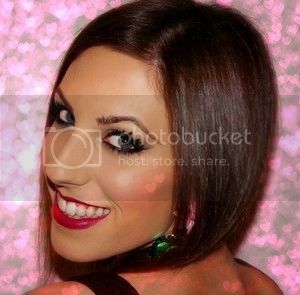 I love your blog so much and your stlye, amazing!!! Hope you could check my blog!!! ma che bella, mamma mia!